If the Vatican stands by Pope Francis's reported remarks, it could be the start of a new era of acceptance. As of this writing, the Vatican is declining to confirm or deny the remarks. If this is indeed what the pope said, and if the Vatican does not issue a quick retraction, the door for significant changes in Catholic teaching on homosexuality and gender identity may have been opened. However, whether the reports will be allowed to stand without official “clarification” is doubtful, given the implications of the pontiff’s statements. I imagine that once the dogmatically orthodox members of the Catholic leadership and the more conservative Catholic groups understand the ramifications, the calls for this statement to be explained in a way consistent with current teaching will be swift and strong. The pope saying that God created an individual as gay goes far beyond a pastoral statement of welcome, as many are characterizing the conversation. It sets a new foundation for Catholic teaching about sexual orientation that is very different than what has been traditionally stated. If God creates us with our sexual orientation — and gender identity* — as part of who we are, the doctrine that LGBTQI people are not part of God’s plan for humanity cannot stand. We can no longer be considered “objectively disordered,” and the church’s entire theology of human identity and relationships will need to be reconsidered. If the church acknowledges that God creates diversity in sexual orientation and gender identity, then it can no longer hold that gender complementarity (specific, divinely ordained roles for males and females) and heterosexual marriage, oriented toward producing and raising children, are the only possibilities for the full realization of human potential. It must dismantle all teachings based in heteronormativity, and develop teachings based on the incredible variety of human identities as a reflection of God’s infinite creativity. All are blessed, and all are sacred. This calls for a profound reformation of current Catholic teaching on homosexuality, which is dehumanizing and degrading. Many find it a total contradiction of the teaching of Jesus. And as we have seen over and over, church leaders and ordinary Catholics also struggle with its implications once they take the time to get to know LGBTQI people and listen to our stories. The pope’s encounter with Juan Carlos Cruz appears to be another instance in which the experience of meeting one-on-one in an atmosphere of open-hearted listening and respect was transformative. In my role as DignityUSA’s executive director, I have had numerous experiences of meeting with bishops, archbishops, and cardinals, some of whom have made public statements that have harmed our community. After each conversation, we have parted with respect and greater understanding. Some of these leaders have said that the opportunity to talk together about our faith has led them to question the "objectively disordered" label placed on gay people. It is essential that we keep having these conversations. What church leaders believe has real impact on people’s lives. It impacts how welcome we feel in our church, whether our jobs and health care are secure, whether we can become parents, even whether people can use religion to justify violence against us. 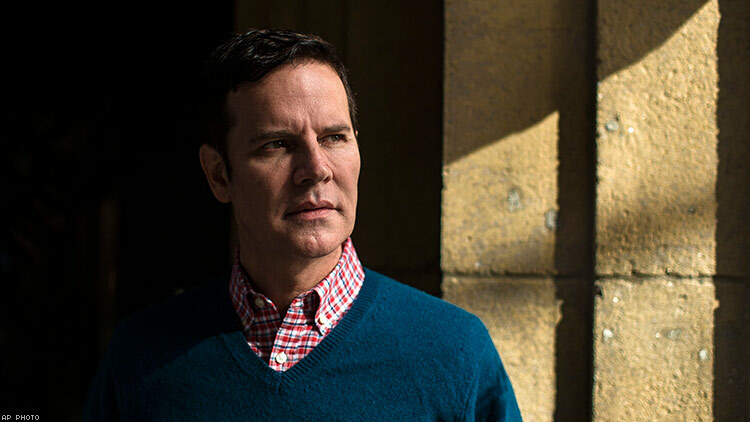 Pope Francis’s reported affirmation of the divine origins of Juan Carlos Cruz’s sexual orientation could push the process that has until now relied on individual or small group conversations into hyperdrive. It would mean an end to exclusion from full access to the sacramental and communal life of the Catholic Church, and an end to Catholic officials’ opposition to human rights protections of LGBTQI people. It would lead to health services being based on science rather than moral opposition to identity, an end to terminations of LGBTQI people who work for Catholic institutions, the division of families, a decrease in mental and physical health issues due to stigmatization, and a decrease in transphobic and homophobic violence. Did the pope have any idea of the impact of his remarks? Did he intend to upend decades, of official teaching? I hope so. It is long past time for the church’s harmful, even dangerous teachings, to be dismantled. The lives and human rights of people all around the world are at stake. However, expect the institutional church to fight hard for the preservation of the status quo. *The pope’s comments were directed to a gay man, but when based on self-knowledge and a well-formed sense of identity, it is hard to imagine how they would not apply to transgender and gender-queer people as well. MARIANNE DUDDY-BURKE is the executive director of DignityUSA, which is approaching 50 years of spiritual support and advocacy for LGBTQI Catholics and their families. It is a founding member of the Global Network of Rainbow Catholics.